When Sebastian Simsch tells the story of Seattle Coffee Works, he doesn’t describe the shifts in business models or locations or roasting or staff setups as simple changes in the course of running a café. They’re more momentous. They represent lives of the café, each separate and distinct, though linked by a seamless tether of reincarnation. At one point in our interview, he stops and counts with his fingers, going through the digits a few quick times (his thumb popping out to count one in a European tell). Thus far in the story, the shop has reincarnated six times. Or maybe seven. It’s hard to remember all your past lives. The first for Seattle Coffee Works began a door down the street, in the back of a T-shirt shop. 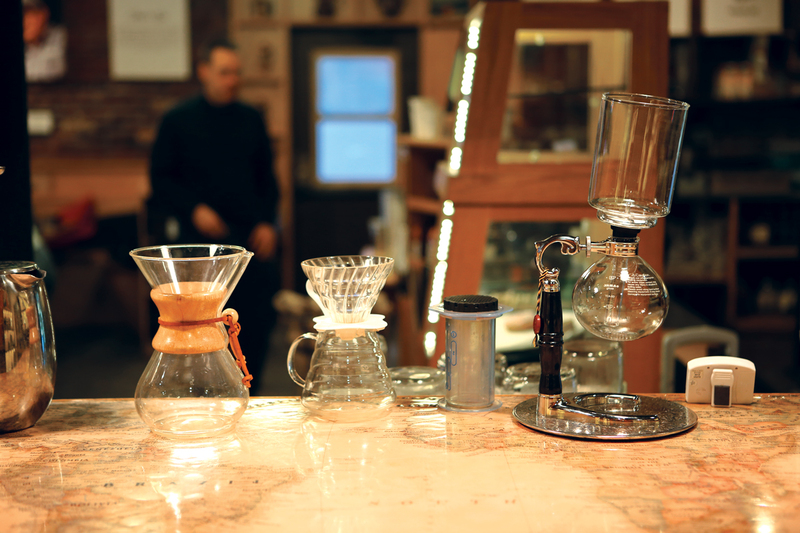 The idea, at the beginning, was to showcase as many different roasters as possible. 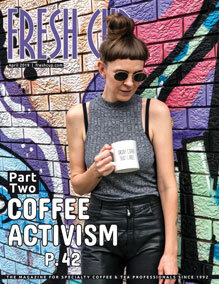 Looking around the roasting scene at that time, Simsch saw so many great roasters who didn’t have a clue how to market their beans, couldn’t even put together a decent website. 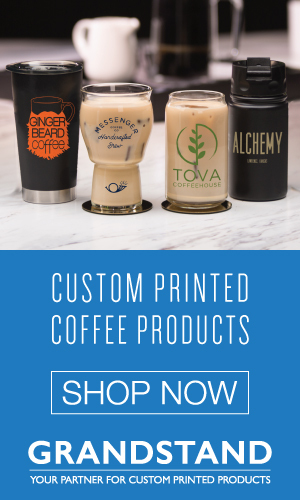 “What if we did an Amazon of coffee?” he had thought, imagining a one-stop-shop for beans. 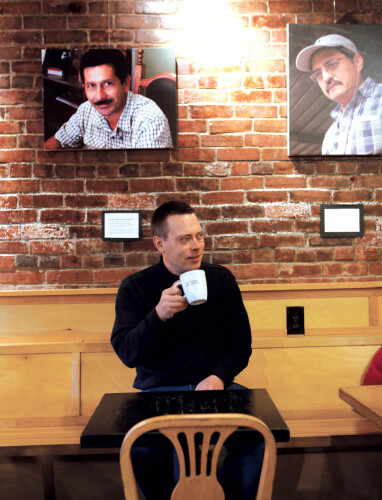 When Seattle Coffee Works opened, he featured ten roasters. 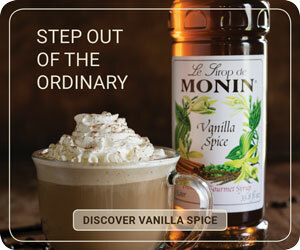 Before the café, he had worked for Amazon, so he was steeped in that model. What he didn’t have was coffee experience. Simsch, who comes from Germany, started out as a historian, but while working on his thesis and a book he lost patience with the solitary work. Living in California in the mid-nineties, he got a job in high tech and worked for the home retail store Williams-Sonoma in marketing. For kicks, he had HR let him work the floor in a store once a quarter. Then he joined Amazon and moved to Seattle in 2004. Simsch hadn’t been a coffee guy before the move, but then he went to the late, great Hines Public Market Coffee and the recently crowned US barista champion Bronwen Serna made him a macchiato. That was coffee zero for Simsch. So he killed the first version of the café. He stuck to his multi-roaster plan, but abbreviated the list. The business still flailed about, so he let the staff go and became the sole barista. He worked twelve-hour days six days a week. He says this was when he became a coffee professional. You can’t pull that many shots that often and not become a better barista, not when you’re obsessing about the outcome. “It was the best thing I’ve ever done,” Simsch says. After four months of this, he was able to hire a barista. Then later in that year, this is 2008, he began roasting and the café took off. “We were actually viable, my god,” he says. The multi-roaster plan was laid to rest. 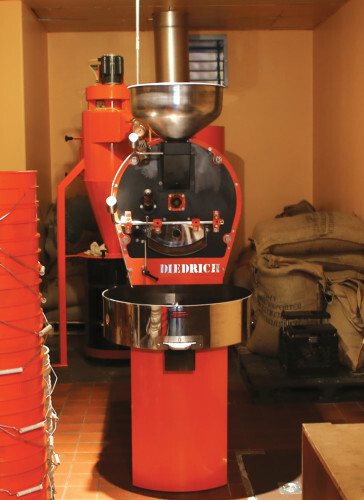 The next year, they moved into their current space, which houses a green lab and a Diedrich roaster named Anna. Walking into Seattle Coffee Works makes you realize how uniform the third-wave aesthetic can be. Instead of sparse, almost laboratorial decoration, Seattle Coffee Works is warm-hued and stuffed, but in a cozy, old-couch way. In a flannel way. Walking into Seattle Coffee Works makes you realize how uniform the third-wave aesthetic can be. Instead of sparse, almost laboratorial decoration, Seattle Coffee Works is warm-hued and stuffed, but in a cozy, old-couch way. In a flannel way. Unfairly, the coziness evokes the second wave, when Starbucks established the Seattle coffeehouse feel. Then the barista pulls an espresso and proves that the third wave is about what’s in the cup, not the décor. Next to the bar for espresso and batch coffee, is the slow bar. Here the staff serves single origins brewed in a variety of methods. It had ninety covers the day before I visited. “It allows all of us to express our artistic side,” Simsch says. Since moving into this space, the changes between the lives of Seattle Coffee Works have been incremental rather than revolutionary. 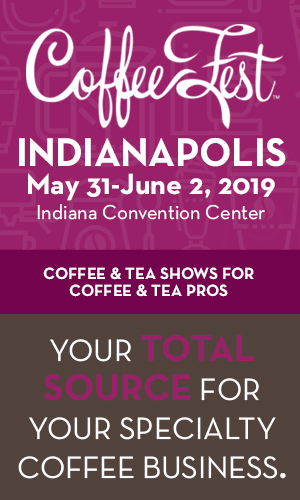 Simsch wants all of his roasts to be direct trade and he wants his entire staff, now numbering about twenty, to have made an origin trip. He says he’s about halfway on both. At the end of our interview, Simsch takes me into the lab to show off a new espresso machine they’ll install soon. It’s a gorgeous piece of equipment and it will change the whole look of the bar. Simsch is excited about the change, the café’s coming new life.